It’s uncommon to see a serious anime featuring young children, but Usagi Drop portrays their interactions very naturally. Continue Reading "Usagi Drop – 04"
When there’s a big f–king gun that’s only good for one shot, it’s an absolute tease if it’s never fired. 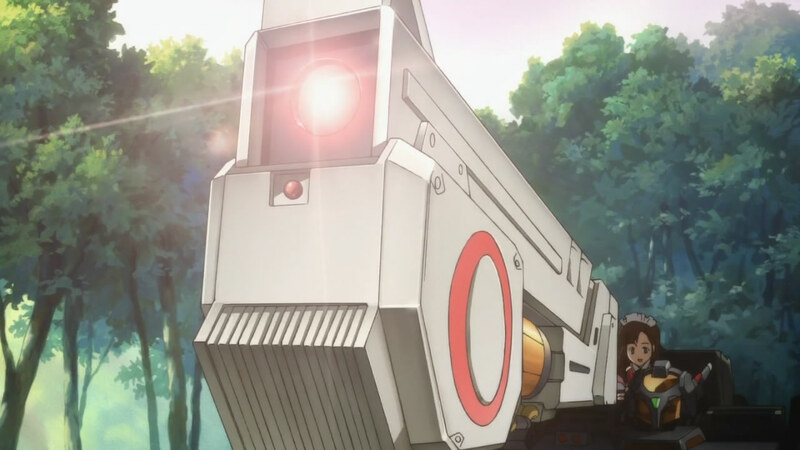 The rational side of me understands Makoto’s hesitation to use it when Ruri’s right next to him, but come on… shoot the Corundum Laser Cannon. With a name like that and an expensive ruby burned in the process, it’s just begging to have its trigger pulled. Continue Reading "Sacred Seven – 05"
Now that I’m settled in with all the actors in their respective roles, I have to say I found this second episode absolutely hilarious. Continue Reading "Ouran High School Host Club (Drama) – 02"
I can’t shake the feeling that Mayo Chiki has skipped quite a few episodes of development to help explain the closeness in Jirou and Subaru’s relationship, but I am starting to wonder if it’s because I’ve been unconsciously brainwashed into believing that anime characters take an entire season before there are any noticeable changes in them. Continue Reading "Mayo Chiki! – 04"
It was no Iron Chef — one of my favorite cooking shows — but the 765 Pro girls were surprisingly good at cooking. Continue Reading "THE IDOLM@STER – 04"
Ikuhara must not like me or something. Just when I got into the “Survival Strategy” swing of things and was looking forward to another “Himari” appearance, he decides not to have one in the very next episode. Continue Reading "Mawaru Penguindrum – 04"
So here’s the dilemma I’m facing after the 4th episode of this series. I find myself laughing, repeatedly and uproariously, and not being sure whether I’m supposed to be laughing at all. Continue Reading "NO.6 – 04"
Continue Reading "Naruto 549 – And 146 Chapters Later…"
Continue Reading "Bleach 458 – Turn to the Dark Side"
As unusual as it may sound, there’s a lot happening every episode, but I still haven’t gotten into the story about a small village and its mysterious god-like dolls. I’m not the least bit disappointed about Aki escaping again, Kuuko butting her head into things, and Koushirou/Kirio showing up, but I’ve never really felt compelled to say anything about what’s going on either. Continue Reading "Kami-sama Dolls – 04"